Let the creative juices flow freely in a fun and stress free setting at the ARThaus. A solid platform for art education to take place, ARThaus caters to the young and young at heart to experience the true advantages of discovering and exploring art. Located in the prime area of Bukit Timah, is is easily accessible from Orchard Road and Holland Village. Various workshops and programs are conducted by two experienced art educators, Caroline Law and Aisha Ramat who both have extensive backgrounds in the art arena. 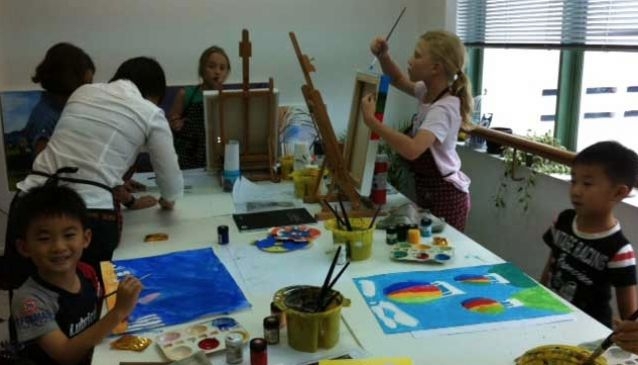 Children will love the 5-day holiday workshops, as well as, the regular kids' art programs which include painting, drawing, oil painting, experimental acrylic and even portfolio preparation. Parents who wish to join in the fun can also enroll in the parent and child workshop.